Watch as Adriana Luna (@adrilunamakeup) takes her makeup look to the next level using Mehron's contour highlight palette. She uses the Mehron Correct-It color correction 6 color palette, Conceal-It palette, Face Smoothie Sponge, Celebre Pro-HD contour highlight 12 color palette, Highlight-Pro palette, and Barrier Spray. 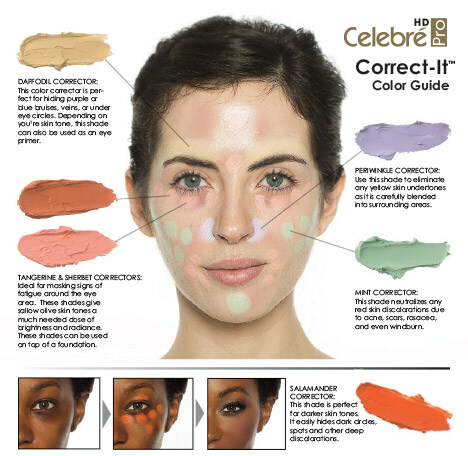 Click the button below to add the Celebré Pro-HD™ Correct-It Palette to your wish list.